Hidden - what fabric is this garment is made from? We were lucky to get a second row seat at this fashion parade held in ‘The Cloud’ on Auckland’s waterfront during the recent Rugby World Cup 2011. I had great fun snapping away as the models paraded in front of me. 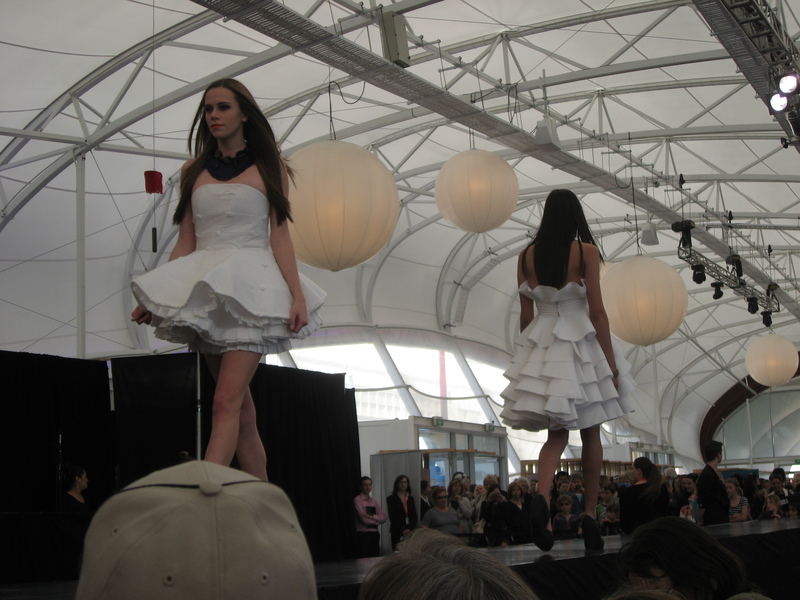 The garments featured (with a rear view below) were made from toilet paper! Very impressive don’t you think … and multipurpose! This entry was posted in Design, Fashion, Photography and tagged Auckland waterfront, hidden, postaday2011, Rugby World Cup 2011, The Cloud, toilet paper, weekly photo challenge on October 31, 2011 by Rossi. I’ve been offline for a while – preoccupied with a work project and other important activities namely the Rugby World Cup 2011. When I saw this week’s photo challenge, I felt the need to share this image. I’m obscured – definitely the best way to be. 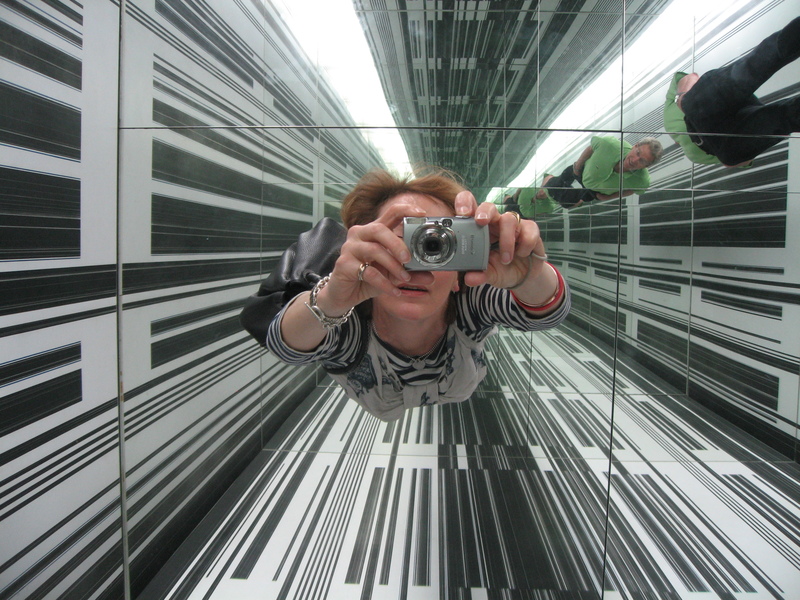 This entry was posted in Design, Photography and tagged Auckland Art Gallery, Belgium, Environment 3, Luc Piere, postaday2011, weekly photo challenge on October 30, 2011 by Rossi.